The electronic devices you rely on every day for communication, security, and entertainment such as networking equipment, computers, televisions, security systems, and gaming consoles are at risk of damage and disconnect due to unexpected blackouts, voltage fluctuations, and other power disruptions. Offering high-performance, premium power protection for office computers, the APC by Schneider Electric Back-UPS Pro BR1500G provides instant battery power to your critical electronics when the power goes out, reducing risk of damage and keeping you connected and available both personally and professionally. Additionally, the BR1500G UPS (uninterruptible power supply) offers guaranteed surge and lightning protection for attached electronics. Advanced features such as Automatic Voltage Regulation (AVR) and an easy-to-read LCD display make the BR1500G the ideal choice for high-performance systems. By connecting your valuable devices, you are ensuring these investments against potentially irreversible damage. 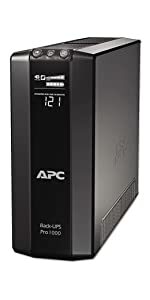 When the power goes out, the APC BR1500G will power critical devices including home networking equipment; allowing you to maintain your internet connection. This allows you to work productively, avoid the loss of valuable data, and safely shut down equipment. The BR1500G UPS power supply includes PowerChute Personal Edition software which provides UPS management options, safe system shutdown, and energy monitoring to enable cost savings and prevent potential data corruption. This UPS power supply unit offers ten outlets, five of which provide battery backup runtime during an outage, and an 865-watt/1,500-volt ampere output power capacity. Guaranteed protection from surges and spikes caused by storms, lightning, circuit overloads, power cycling, etc. The BR1500G UPS provides extended power backup so you can continue to work on a PC, access the network, and game online when a power outage occurs. The BR1500G gives you time to save your work and safely shut down electronics or even work right through an outage. Connect an additional battery pack (BR24BPG, sold separately) to the BR1500G battery unit for even more runtime. The BR1500G UPS protects connected devices from dangerous surges or spikes in voltage. Automatic Voltage Regulation (AVR) technology consistently maintains safe voltage conditions without draining the battery, saving backup runtime for power outages. Customizable voltage transfer points and sensitivity profiles let you customize settings to maximize equipment protection and the unit’s battery life. The BR1500G UPS also provides data line surge and spike protection for telephone, Ethernet, and coaxial cable connections. APC PowerChute Personal Edition power and energy management software is included. PowerChute prevents data corruption by automatically saving files and shutting down your system in an extended power outage or low-battery condition. PowerChute monitors and displays energy usage and reduces costs via customized energy management planning. Connect the USB cable that’s included with your UPS backup unit to your computer to easily use the software. An LCD display on the front of the unit lets you easily monitor your power status and manage the BR1500G UPS. Check your power status, input/output voltage, current load, battery charge, remaining runtime, and more. 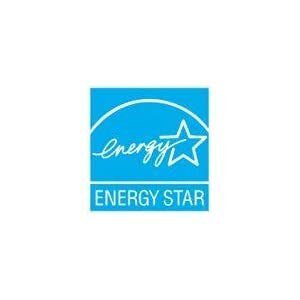 The BR1500G UPS is ENERGY STAR certified for its efficient operation and ability to help realize lower energy costs. This UPS is covered by a three-year limited warranty. It also comes with a lifetime equipment protection policy. 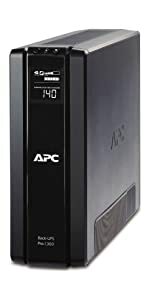 APC will repair or replace attached equipment that sustains surge-related damage while properly connected to a registered Back-UPS uninterruptible power supply unit.